Leading a sedentary lifestyle and sitting down excessively is said to be as bad for your health as smoking. The simple message from a lot of health professionals is the longer you stand, the longer you live. 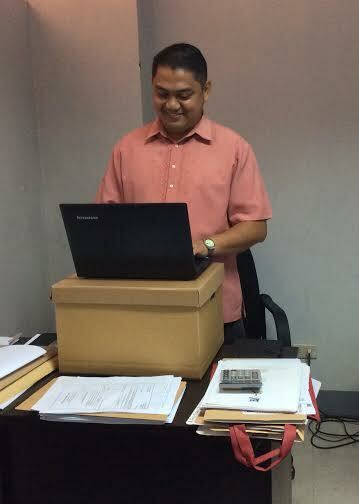 When I am at NEH Philippines in Davao I use their banana boxes under my computer to ensure I stand more. (6) You live longer. A piece in the NY Times mentioned that sitting for extended periods of time is strongly linked with increased mortality and metabolic syndrome, regardless of how much exercise a sitter gets. It is estimated that people sit up to 12 hours a day during working hours, commuting, eating and watching tv. You cannot simply exercise away your sedentary work habit of sitting all day as your exercise will not undo the damage done by excessive sitting. See the very cool stand up desk of Primed Maiko and Dane. 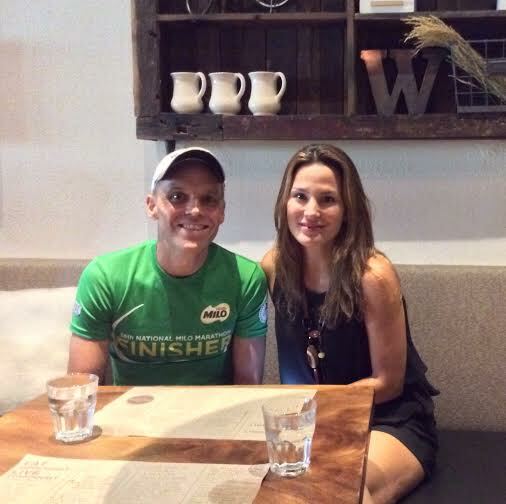 Read their Primed success story here. (5) You become fitter and stronger. You actually burn more calories by standing as shown in this article where Dr Buckley says: “then that would be the equivalent of running about 10 marathons a year. Just by standing up three or four hours in your day at work.” The key to reducing the risk of obesity is consistent, moderate levels of movement throughout the day. You also strengthen your muscles. Sitting weakens your muscles, especially in the legs and the hips. When you are standing you are engaging, and therefore using, more muscles. Remember, muscles are your bodies fat burning machinery. Christian and Jur are using their stand up desks at NEH Philippines in Davao. (4) Productivity and creativity levels are increased. When you are healthier you have increased energy and are more alert. This translates to achieving more in your work day and having fewer sick leaves. Facebook offices are equipped with a high proportion of standing desks with the trend of more of their employees converting to one. You can use an ironing board or even a box with which to put your computer on. Ensure your box is sturdy and that your computer will not overheat what it is sitting on. Remember, safety first. (3) Improved posture and breathing. When you stand properly and have your laptop, screen and mouse placed comfortably your shoulders and back will not be slouched. This aids deep breathing and is something you can also do more consciously throughout your work day. Try doing some deep breathing exercises for even greater benefits. I even use one at our place in Boracay. Instead of throwing away our dodgy microwave I now use it as a stand up desk. (2) Less illness. You are less likely to get diabetes, heart disease and even deep vein thrombosis if you stand more as it is a form of exercise. When you sit most of the day at work you are also more likely to sit more at home. Watch this great youtube video from Dr. Jason Fung regarding how he cures his patients of type 2 diabetes. His message is to cut the sugar (processed foods are sugar in your body), less/no refined carbs, eat more fibrous vegetables, eat more quality saturated fat, try intermittent fasting (easier with a Primed lifestyle) and exercise. 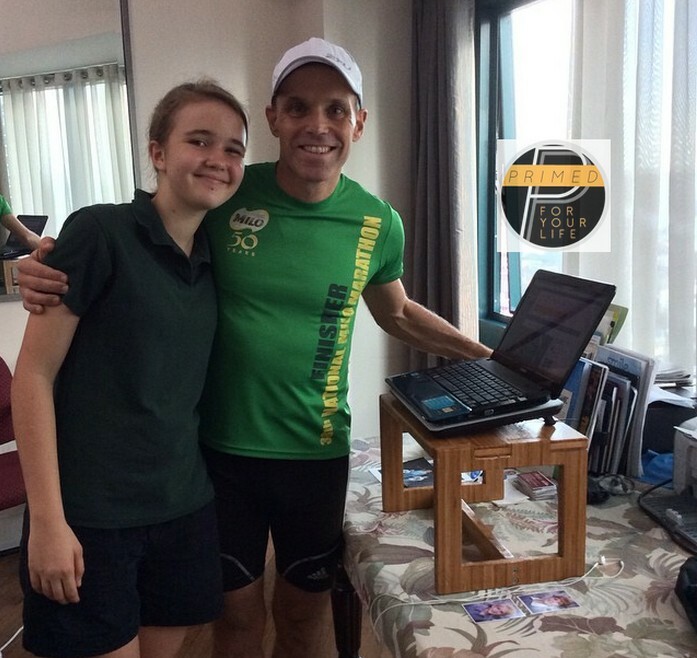 Luckily for me my beautiful daughter made me a stand up desk at school. (1) Can even help reduce your blood sugar levels. Cool. “For obese people who sit for most of the day, replacing some sitting time with standing, slow walking or slow cycling reduces average blood sugar across the day and into the night, a small study finds. Even while I do my weekly Primed V81 radio program from 5pm to 6pm on Saturday I am standing. I will get my Primed buddies Serr John and Malou to do the same. Previous PostRegular Intelligent Fasting is Cool, if, and only if, you are Primed (well nourished) like Cynthia LevisteNext PostDJ Serr Chief dropped 5+ Kilos in 3 weeks and also all Hypertension meds.